You know you need to build a list. Nothing is drilled into our brains more when we start an online business. As I’ve written previously Facebook can wipe your account at any time and their latest announcement about shrinking organic reach should tell you to start building your email list FAST. Same goes with Twitter, Pinterest, Google+, Instagram and the rest. If you don’t own it you have no control of it. The other side of the coin is the overwhelming majority of visitors to your website will never come back. NEVER. 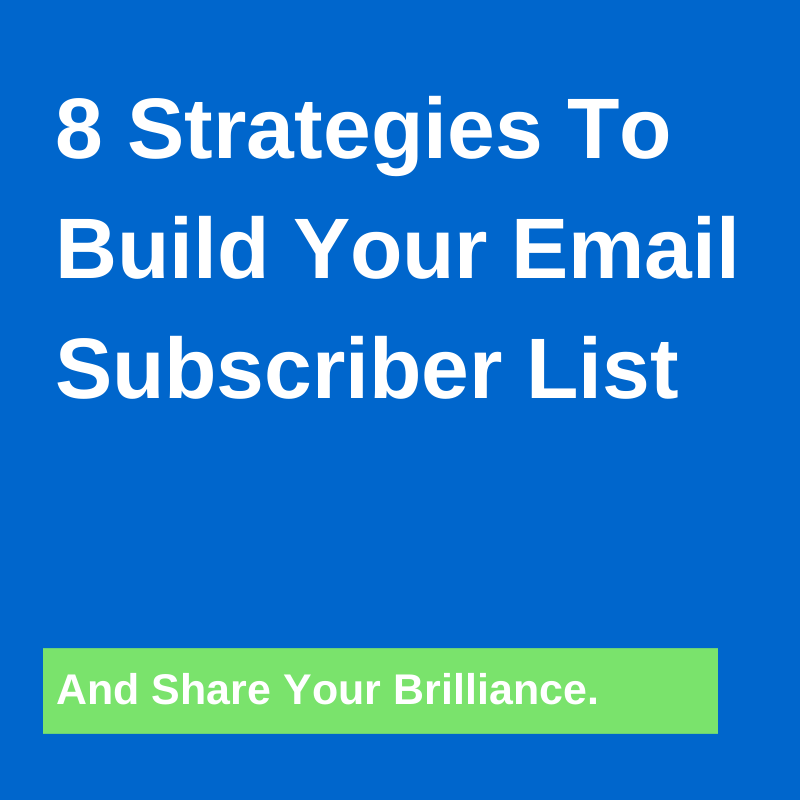 So it’s critical you have them opt in to your subscriber list when they arrive. What better way to achieve this than to offer a little incentive or treat for doing so? It’s like Pavlov’s experiments where he proved that you could train animals to behave in a certain way with positive reinforcement. Have the right positive reinforcement and your ideal audience will be falling over themselves to subscribe. Which Opt In Strategy Is Best? When choosing which incentive to create and implement make sure you consider your ideal audience and the best delivery format for them. For example, if your ideal audience are cyclists an ebook may not be the best way to go. They might prefer to receive an audio recording that they can listen to while on the bike. Comparatively, if your ideal audience are photographers a challenge or ecourse might be the way to go. A challenge is an event or competition that requires participants to complete a set activity or goal before the end. Challenges have a host and/or moderator who leads participants through the process and encourages community strengthening. The benefits of hosting a challenge are numerous from positioning yourself as an authority to SEO improvements to building a quality, engaged tribe. The best bit is you can grow your subscriber list at the same time by having participants opt in to receive challenge details and inspiration throughout. A great example of a challenge is Laura Roeder’s Famous In Five. You can also read the lessons I learned doubling my list while hosting a challenge. What concept could you simplify for your readers by providing a template? As someone who attends Problogger and a number of other conferences annually I’ve noticed it’s incredibly easy to write a novel of notes and never refer back to them. This year I created a template attendees could use to record their top three action steps from each session and offered it as an opt in incentive. It converts above 30%. You can even pair up with someone else as Amy Porterfield and Melanie Duncan do and leverage each other’s existing lists. Think of who has an audience with similar interests to your ideal audience or offers complimentary products and services. Reach out and team up. Opt in incentives don’t need to be complex to be valuable. Simple is sometimes by far the most effective. Take the example of Marissa Robert’s ‘5 Steps To An Easy Morning’ ebook. It is every parent’s dream. 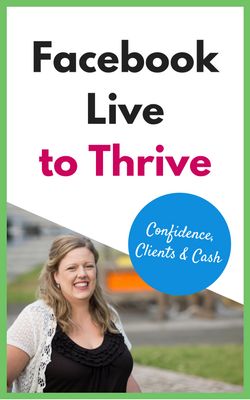 When it comes to meeting your ideal audience’s needs Marissa (a professional organiser for busy mums) has hit the ball out of the park. Members only specials are an intriguing opt in incentive. Personally I think there is a subtle difference. For example, I would never offer a discount as an opt in incentive targeting B2B, but I have seen it work extremely effectively for B2C. That said, every target audience is different so you have to match the offer to the target. It feels like I’m harping on about considering your audience but you really can’t expect them to opt in if your offer isn’t valuable to them. Would you offer a discount / members only special in a business to business situation? Ahhhh, the ecourse. The tried and trusted way of helping your ideal audience create results for themselves without ongoing input from yourself so that they will then pay you to help them get even better results. All while opting in to receive the ecourse and building your list. For an example, you could check out Handmadeology’s Handmade Twitter Blueprint course. Can you demonstrate your expertise while offering your ideal audience the incentive to subscribe to your email list at the same time? Whether you are the focus of your case study or it’s one of your clients this is a brilliant way to grow your list and move more people towards becoming your clients. Offering a free chapter or excerpt from your book or ebook as an opt in incentive is a fabulous way to build you list and enable your potential clients to experience your product. What better way for potential clients to get to know, like and trust you. In fact I did this with the ebook I co-wrote ‘How To Host A Swingin’ Blog Challenge.’ I gave away the first chapter which helped educate people who weren’t sure what a challenge was and the benefits of hosting a challenge. In the comments tell me what opt in incentive you are going to create for your ideal audience and when it will be finished by. P.S. 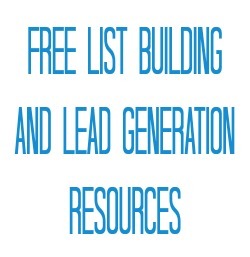 If you’d like to become super-efficient and accountable in your list building and lead generation efforts you need to get the Business Building Lead Generation 12 Month Planner And Tracker. P.P.S. I’m offering you a super action-takers offer on the Business Building Lead Generation 12 Month Planner And Tracker until 1st January 2014. Don’t miss out! List Building And Lead Generation Not Working? List Building Or Traffic? Chicken Or Egg? 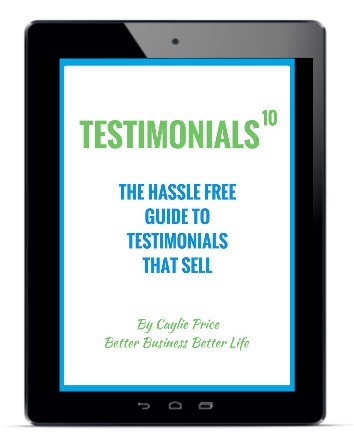 Some fab ideas there Caylie – I agree with you, build a list B2B too. Thanks Jan. What are your list building goals for 2014? This is such great information! I shared it with my followers in a few places. It’s inspiring me to try something new….hmmmm…. Thanks for such a terrific and content rich post. It’s interesting that the information we need always comes to us at the right time; as is the case here. Thanks. I just completed my opt-in gift. I should say, my NEW opt-in gift. I’m pretty excited about it. My primary business is B2C…right now. Thanks again! I agree, we need to be growing out loyal tribes! I use a lot of the above – ebooks, audios and sample chapters. Live speaking is also a big one for me. In 2014 I plan to host my first summit. I can’t wait to try some of these ideas! Thanks for sharing!